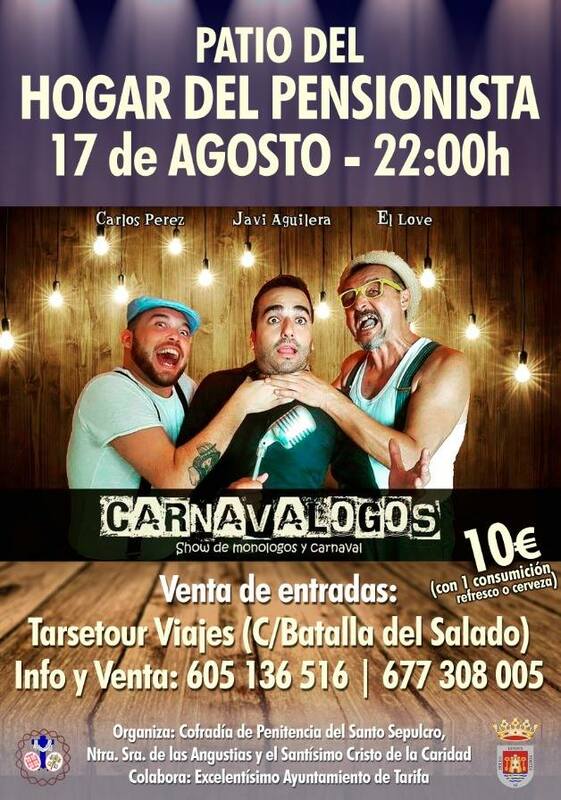 The show of Javier Aguilera, Carlos Pérez and José Luis Ballesteros “Love”, a mixture of monologues, jokes and carnival songs, arrives at the Pensioner’s Home in the hands of the brotherhood of Santo Entierro. The appointment will be on August 17 from ten o’clock at night, at the price of 10 euros with consumption included. Tickets can already be booked at Viajes Tarsetour, in Batalla del Salado. Also on phones 605 13 65 16 or 677 30 80 05. Carnaveleros and chirigoteros have already served the summer date.